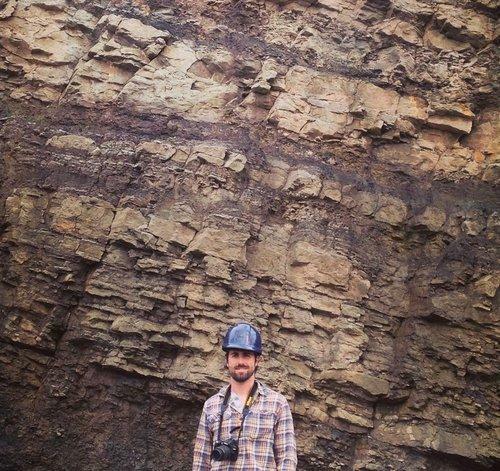 Peter Brannen at the Joggins Fossil Cliffs in Nova Scotia. The New England Independent Booksellers Association has announced the finalists for its annual New England Book Awards, which honor works about the region, set here, or by a New England author. This year’s fiction nominees include: “The Women in the Castle’’ by Jessica Shattuck; “The Twelve Lives of Samuel Hawley’’ by Hannah Tinti; “Saints for All Occasions’’ by J. Courtney Sullivan; “Rabbit Cake’’ by Annie Hartnett; and “News from the End of the World’’ by Emily Jeanne Miller. Nonfiction nominees include: “The Fact of a Body’’ by Alexandria Marzano-Lesnevich; “Down City’’ by Leah Carroll; “The Glass Universe’’ by Dava Sobel; “Notes on a Banana’’ by David Leite; and “The Stranger in the Woods’’ by Michael Finkel. In the young-adult category there’s “Bull’’ by David Elliott; “The Gentleman’s Guide to Vice and Virtue’’ by Mackenzi Lee; “Iron Cast’’ by Destiny Soria; “Queer, There, and Everywhere: 23 People Who Changed the World’’ by Sarah Prager; and “Wrecked’’ by Maria Padian. And for children’s books: “When the Sea Turned to Silver’’ by Grace Lin; “Beyond the Bright Sea’’ by Lauren Wolk; “A Perfect Day’’ by Lane Smith; “Some Writer: The Story of E.B. White’’ by Melissa Sweet; and “The Poet’s Dog’’ by Patricia MacLachlan. Member booksellers will vote, and the awards will be announced Sept. 19. The prize includes a $250 check to be donated to the literacy charity of the winner’s choosing. In “The Ends of the World: Volcanic Apocalypses, Lethal Oceans, and Our Quest to Understand Earth’s Past Mass Extinctions’’ (Ecco), Peter Brannen, raised outside of Boston and a graduate of Boston College, looks backward in time to the five major extinctions in Earth’s 600 million years of holding animal life and forecasts what it might mean for the future of life on the planet. In this clear-eyed, urgent, and eloquent book, Brannen explores rocks and oceans, forests and fossils, explaining moments when things went very wrong and how these catastrophes have “frightening echoes in our own world” given the “sorts of shocks we’re currently inflicting on” the environment. Brannen offers an important education, making an argument for how better understanding what’s happened can help us determine how to move forward. Forbes magazine named Barefoot Books as one of America’s best small companies on its second annual list. The Cambridge publisher was one of 25 firms selected which “value greatness over growth” — in Barefoot’s case that involves “excellence in children’s books” and selling more than 20 million copies worldwide since launching in 1992. Forbes credited the “iconoclastic” management style of CEO Nancy Traversy for the company’s success. Barefoot sets aside 20 percent of its shares for its employee stock-option plan and practices open-book management, which allows employees to understand how the company is doing and how they can best do their jobs.